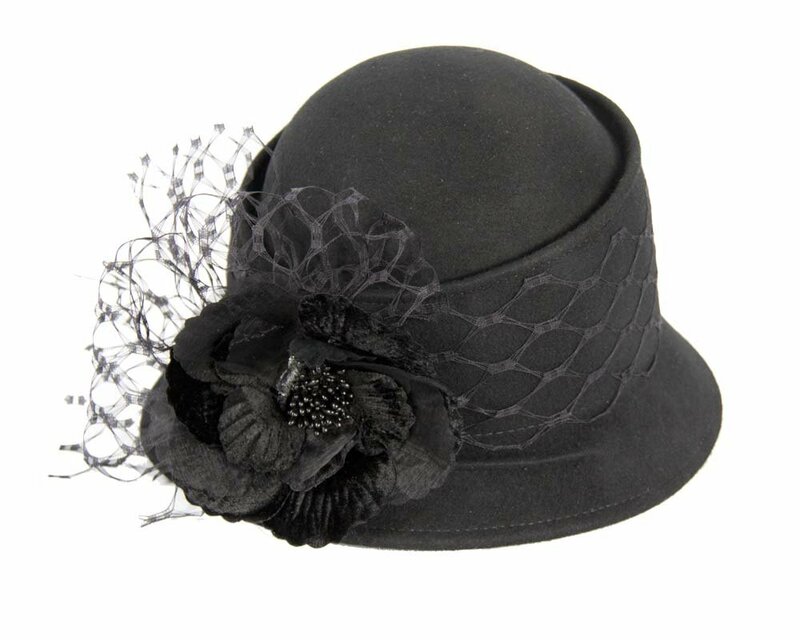 This elegant black ladies winter felt hat features unusual shape with large flower and veiling. It will make you look equally stunning at autumn and winter racing events or when you casually wear it every day. 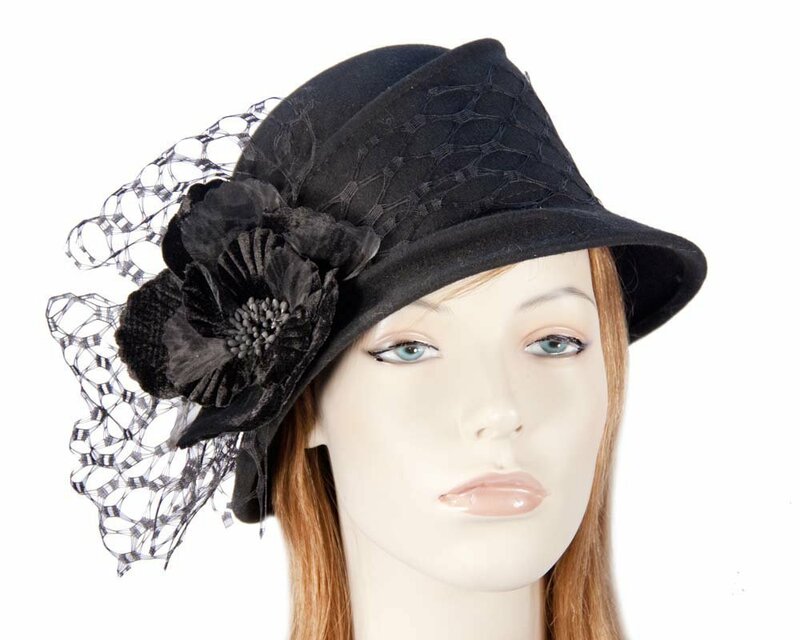 Only the best and unique designs from best online ladies hats and fascinators store in Australia!